Send your little one to school with their favorite movie character on their school backpack. Th..
15" Multi Color Laser Print backpack. New size available for this year. All the same great features ..
15" Multi Color Ribbon Print backpack. New size available for this year. All the same great features..
15" OWL Print backpack. New size available for this year. All the same great features from our 17" v..
15" Paw Patrol $6.50 Each. 15" Peace & Love Print backpack. New size available for this year. 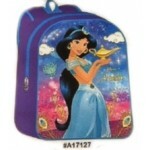 All the same great features f..
15" Princess Jasmine $6.50 Each. 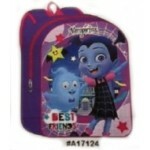 Send your kids to school with their favorite movie Tv character on their school backpack. There.. Send your little one to school in style this year with their favorite Tv character on their wholesal..
16" 2-Tone Wholesale Backpacks $4.50 Each. 16" two tone EAGLESPORT wholesale backpack. 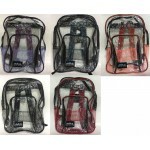 Our series wholesale school backpack offer great quality..
16" 3D Wholesale Backpacks $4.75 Each. 16" 3D Print EAGLESPORT wholesale backpack. 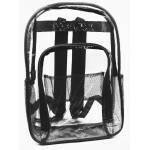 Our series wholesale school backpack offer great quality..
16" Box Wholesale Backpacks $4.75 Each. 16" Box Print EAGLESPORT wholesale backpack. Our series wholesale school backpack offer great qualit.. Send your kids to school in style this year with their favorite Character on their wholesale backpac..
17" Black Clear PVC Backpack $5.50 Each. Wholesale backpack in Clear PVC with black trim, features a big main compartment for notebooks and a..
17" Box Print EAGLESPORT backpack. Our series backpack offer great quality features at a great price..
﻿17" Clear Backpacks﻿This 17 Inch Clear wholesale Backpack in assorted colors only will be sure..
17" 3D Print EAGLESPORT backpack. Our series backpack offer great quality features at a great price ..
New 17" EAGLESPORT backpack in all Black. Our series backpack offer great quality features at..